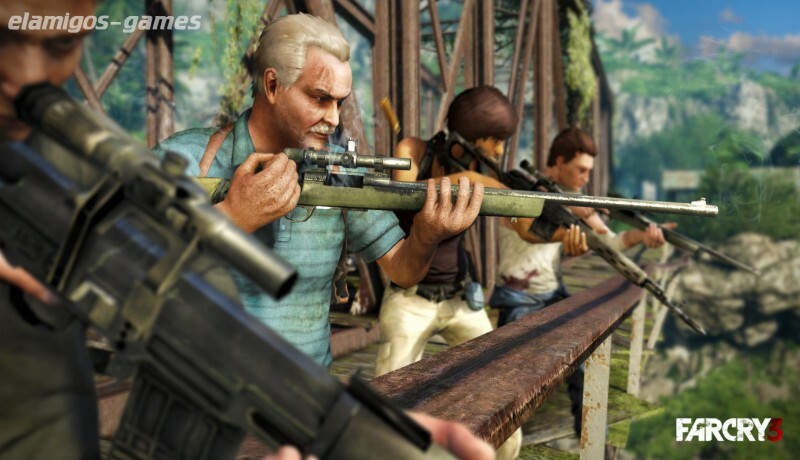 Download Far Cry 3 Complete Collection is now easier with this page, where you have the official version of servers Elamigos like Uploaded, Share-Online, Googledrive and torrent, download it now and get the updated game until version 1.05. 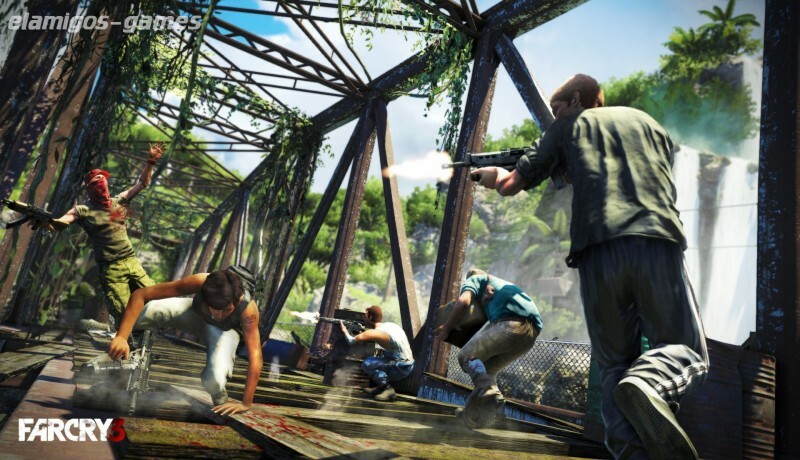 Far Cry 3 is a delivery of the well-known action series in the open world of Ubisoft, with a more marked personality than in the previous games. We play Jason Brody, a daddy boy who gets trapped on an island in the Pacific Ocean. His friends are captured or killed by mercenaries, and his life becomes a nightmare. Additional: * Supported Video Cards at Time of Release: AMD Radeon ™ HD 2900/3000/4000/5000/6000/7000 series, NVIDIA® GeForce® 8800 GTX / 9/200/400/500/600 series. Laptop versions of these cards may work, but are not supported. These chipsets are the only ones that will run this game. For the most up-to-date minimum requirement listings, please visit the FAQ on our support website at http://support.ubi.com. ElAmigos release, game is already cracked after installation (crack by Reloaded/smashly). 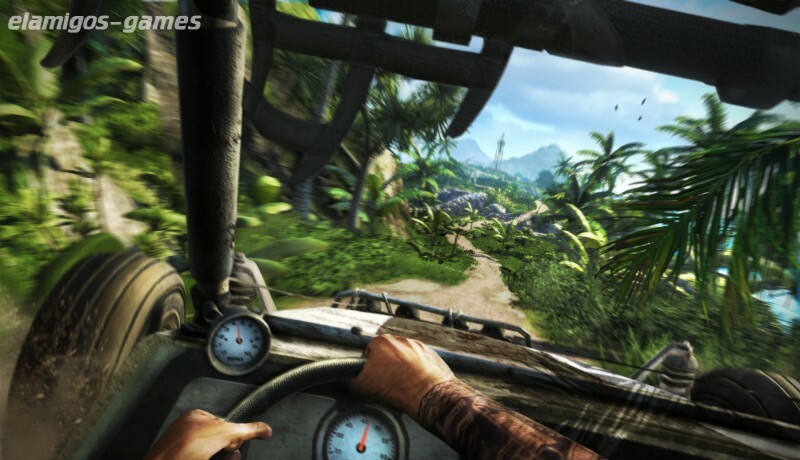 Updated to version 1.05 (FC3) / 1.02 (BDragon); included DLC (FC3): Monkey Business, Lost Expeditions, Testing Unit, Warrior Pack - Tribal Knife, Predator Pack - M-700 Predator Rifle, 4 New Unique Animals, Cannon Gun, High Tides. 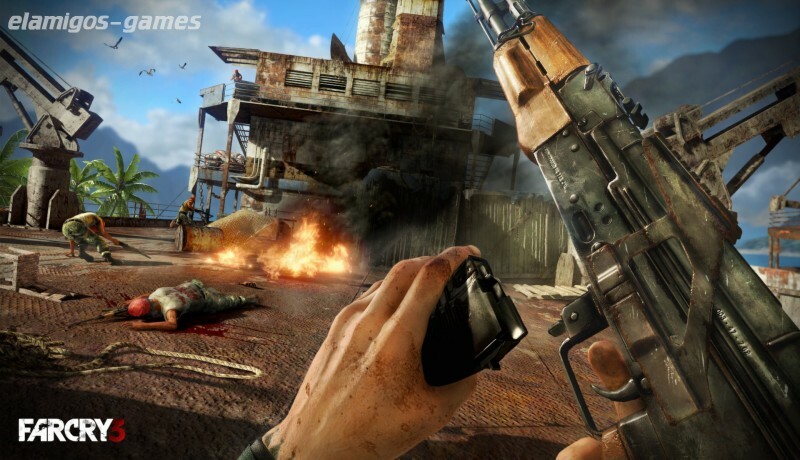 Included content: Far Cry 3 + Far Cry 3: Blood Dragon. Instructions: install, play.